A team of scientists at The Institute of Cancer Research in London and The Royal Marsden NHS Foundation Trust have developed a blood test which could analyse whether a breast cancer patient is responding to the treatment palbociclib in two to three weeks, potentially reaching a judgement months earlier than current testing allows. The test provides huge benefits over the current system, whereby women with breast cancer must undergo a scan and wait two to three months before it is confirmed that palbociclib is proving to be an effective intervention. 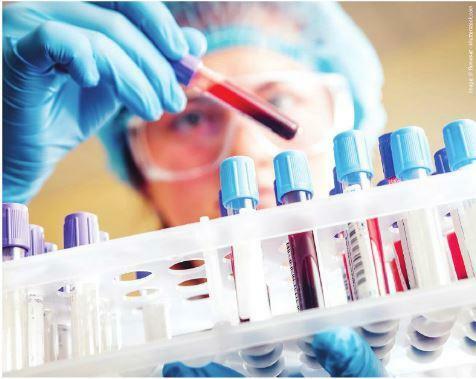 It works by identifying tumour DNA which was entered the bloodstream; researchers then compare the amount of the gene PIK3CA detected before treatment and 15 days after beginning treatment. In trials of the test investigating 73 women with the PIK3CA mutation, 52 of whom received palbociclib, it was found that patients who had a small decrease in PIK3CA circulating DNA at 15 days had a median progression-free survival of just 4.1 months. However, patients with a large decrease in PIK3CA demonstrated a median progression-free survival of 11.2 months. The findings mean that, for the patients with low progression-free survival, treatment has not been effective and this can be identified much earlier, allowing for treatment to be altered. While the test has proved effective so far, the team stressed that more testing is necessary to replicate the findings before it can be applied in a clinical setting.